Let Record Nations guide you through some of the methods, steps, and prep work you might need to do when it’s time to start your scanning project. By planning ahead and setting up your project for success, you can reduce the time it takes to complete your project, and dramatically increase the accuracy and organization of your digital files. Click on any of the articles below to get information, tips and tricks to optimize your document scanning project. This comprehensive article touches on the benefits of document scanning, some tips and tricks when you’re preparing your files to be scanned, and explains which documents you need to hold onto long-term. We also offer DIY tips for those who want to tackle their document scanning project themselves. Once you have your provider picked out, figuring out how to start your document scanning project is the next step in the process. Learn more about some of the things you need to tackle to make sure your scanning project is organized and efficient. There are several different ways to utilize a document scanning service for your business. This article outlines three different ways that you can choose to scan your documents. Are you considering using document scanning to go paperless, optimize your workflow, and decrease the space that your paper document storage is taking up in your office? Here’s 10 of the best reasons to make the transition this year! To ensure your scanning project is comprehensive and efficient, there’s several steps you can take to make sure the transition is as painless as possible. These five steps will ensure that you make the most out of your initial scanning project, and will help make sure that you don’t have issues with ongoing scanning. Employee turnover can be a big problem in larger companies. Files from former employees get lost in the transfer of information, and important documents are lost in the shuffle. 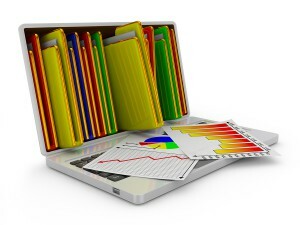 Learn how document scanning can help prevent some of these issues in your company. Ready to Start Your Scanning Project? Get Free Quotes Today! Click here if you’re interested in learning more about Record Nation’s Scanning Services. You can also request a free quote on your scanning project by filling out the form to the right, or by giving us a call at (866) 385-3706.